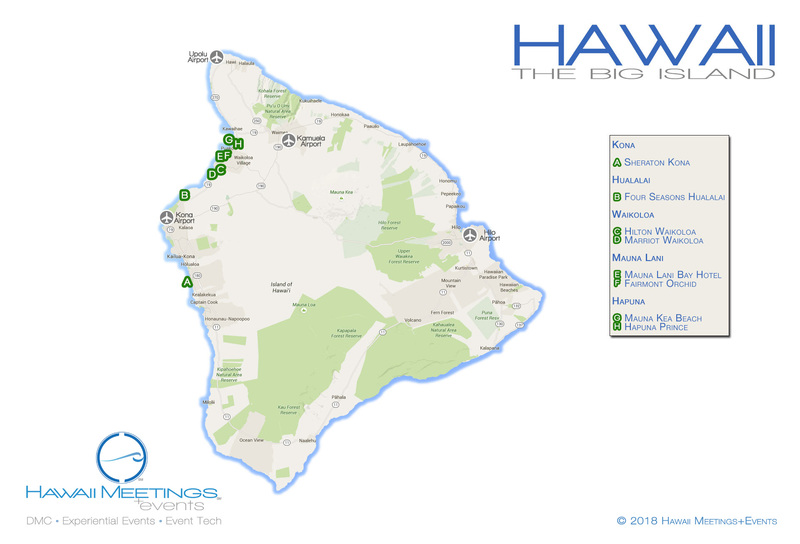 The Hawaiian Islands (Hawaiian: Mokupuni o Hawai‘i) are an archipelago of eight major islands, several atolls, numerous smaller islets, and undersea seamounts in the North Pacific Ocean, extending some 1,500 miles (2,400 kilometers) from the island of Hawaiʻi in the south to northernmost Kure Atoll. Formerly the group was known to Europeans and Americans as the “Sandwich Islands”, a name chosen by James Cook in honor of the then First Lord of the Admiralty John Montagu, 4th Earl of Sandwich. 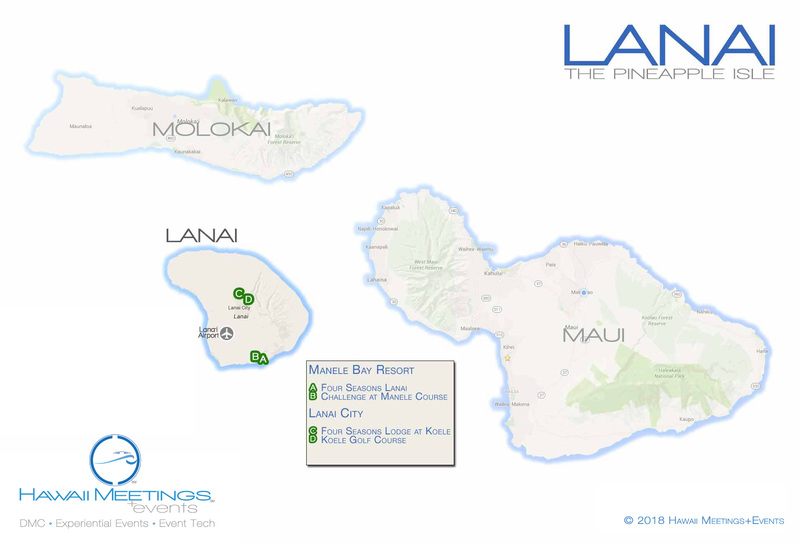 The contemporary name is derived from the name of the main island, Hawaii Island. The Hawaiian monarchy was overthrown in 1893 and the United States annexed the islands in 1898. 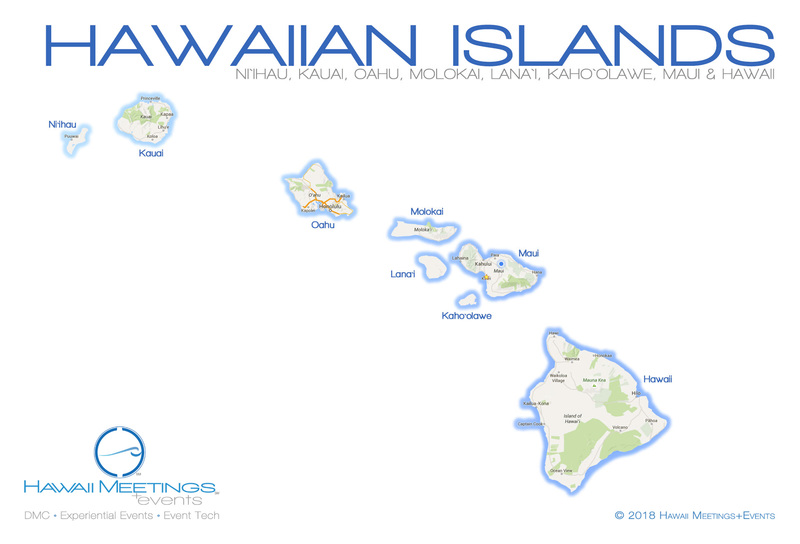 The US state of Hawaii now occupies the archipelago almost in its entirety (including the uninhabited Northwestern Hawaiian Islands), with the sole exception of Midway Island, which is instead an unincorporated territory within the United States Minor Outlying Islands. The Hawaiian Islands are the exposed peaks of a great undersea mountain range known as the Hawaiian-Emperor seamount chain, formed by volcanic activity over a hotspot in the Earth’s mantle. The islands are about 1,860 miles (3,000 km) from the nearest continent. 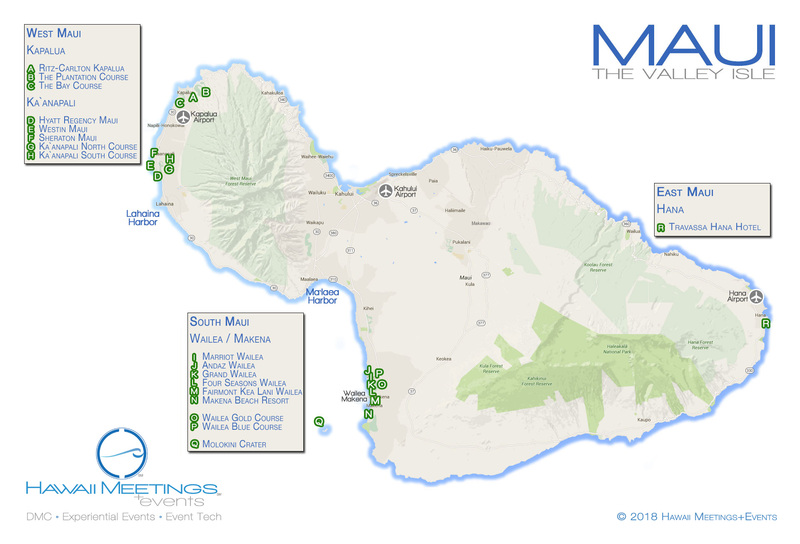 Scroll through the maps and direct links below to help you discover the best hotels and resorts on each island for your next incentive program or conference. 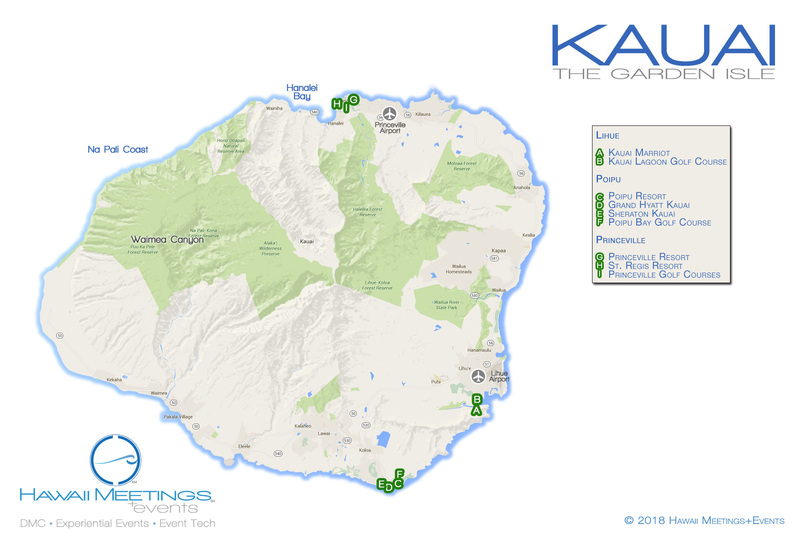 Let us assist you in navigating the way through your destination and hotel site selection process. 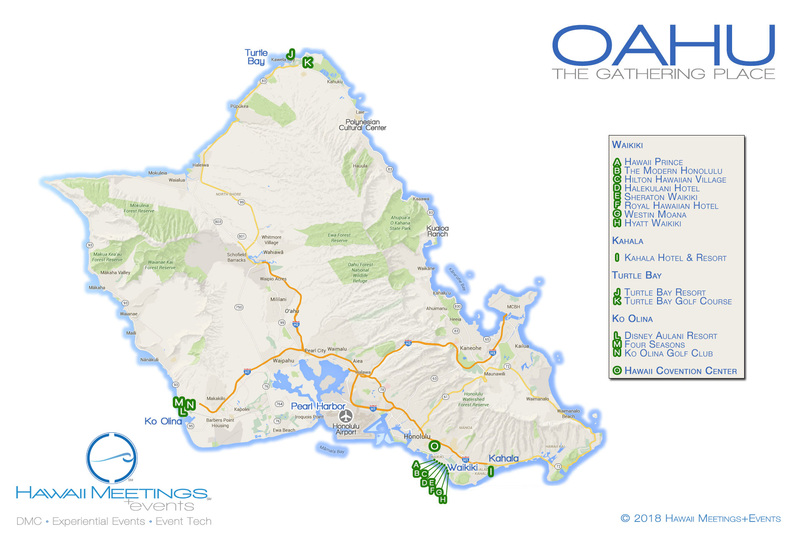 Call us at 808-244-7600, send us an email or submit a quick RFP. We’ll take very good care of you – quickly. Aloha!